The two first interviews were dedicated to long-time Debian developers. This time I took the opposite approach, I interviewed David Kalnischkies who is not (yet) a Debian developer. 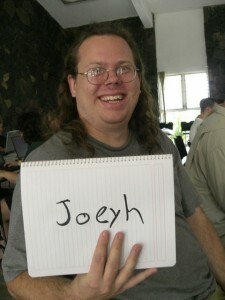 But he’s contributing to one of the most important software within Debian—the APT package manager—since 2009. You can already see him in many places in Debian sharing his APT knowledge when needed. English is not his native language and he’s a bit shy, but he accepted the interview nevertheless. I would like to thank him for the efforts involved and I hope his story can inspire some people to take the leap and just start helping… My questions are in bold, the rest is by David. I am David Kalnischkies, 22 years old, living in the small town Erbach near Wiesbaden in Germany and I’m studying computer science at the TU Darmstadt. Furthermore I am—for more than half a decade now—young group leader of my hometown. A few days later I joined an IRC session with him and closely after that my name appeared for the first time in a changelog entry. It’s a strange but also addicting feeling to read your own name in an unfamiliar place. And even now after many IRC discussions, bugfixes and features, three Ubuntu Developer Summits and a Google Summer of Code in Debian, my name still appear in places I have never even thought about—e.g. in an interview. What’s your biggest achievement within Debian? If your impression is now that I only do APT stuff: that’s completely right, but that’s already more than enough for me for now as the toolchain behind the short name APT contains so many tools and use cases that you always have something different. You’re an active member of the APT development team. Are there plans for APT in Debian Wheezy? What features can we expect? MultiArch – managing packages built for different architectures like i386 on amd64 to ease the usage of packages which only work on specific architectures or cross-compiling. rewriting the subsystem responsible for downloading files to e.g. enable tools like apt-file or debtags to reuse the infrastructure by plugging into it. support research on resolver improvements by implementing support for a distribution independent upgrade problem format (CUDF). an additional single binary for users wrapping apt-get, apt-cache and co.
We will see what will get real for wheezy and what is postponed, but one thing is sure: more will be done for wheezy if you help! I would spend it on APT’s debbugs count… zero would be cool to look at! We make progress in this regard, but with the current velocity we will reach it in ten years or so. Reading more mailing lists would be interesting, as I am kind of an information junky. Maintaining a package could be interesting to share the annoyance of a maintainer with handcrafted dependencies just to notice that APT doesn’t get it in the way I intended it to be. Through, to make it feel real I need to train a few new APT contributors before so they can point my mistake out, but this unfortunately doesn’t depend so much on time but on victims… Maybe I could even be working on getting an official status. Beside that, I would love to be able to “apt-get dist-upgrade” the increasing mass of systems I and many others carry around in their pockets. In regards to my phone, this is already fixed, but there is much room for improvements. You need to be lucky. You need to talk at the right time to the right person. That’s not really a debian-only problem as such, but in a global project full of volunteers you can see it clearly as there are plenty of opportunities to be unlucky. For example, it’s unlikely that an interview would be made with me now if Michael had not contacted me in June 2009. In a big project like Debian, you are basically completely lost without a mentor guiding you, so things like the debian-mentors list are good projects, but I am pretty certain they could benefit from some more helping hands. The other thing which I consider a problem is that—and I read from time to time—some people don’t care for translations. That’s bad. Yes, a developer is able to read English, otherwise s/he couldn’t write code or participate on the mailinglists. Still, I personally prefer to use a translated application if I have the chance as it’s simply easier for me to read in my mother tongue, not only because I am dyslexic, but because my mind still thinks in German and not in English. Yes, I could personally fix that by thinking in English only from now on, but its a quite big problem to convince my family—which is not really familiar with tech-stuff—to use something if they can’t understand what is written on screen. It was hard enough to tell my mother how to write an SMS in a German interface. My phone with English words all over the place would be completely unusable for her—despite the fact that my phone is powered by Debian and better for the task from a technical point of view. You are not yet an official Debian developer/maintainer, but you’re already perceived in the community as one the most knowledgeable person about APT. It’s a great start! What’s your advice to other people who want to start contributing to Debian in general, and to APT in particular? It was never a goal in my life to “start contributing”. My goal was and still is to make my life easier by letting the computer work for me. At some point APT hindered the success of this goal, so it needed to be fixed. I didn’t expect to open pandora’s box. Julian Andreas Klode is working on a APT replacement, there’s also Cupt by Eugene V. Lyubimkin. Both projects started because their authors are not satisfied with APT, they find APT’s code difficult to hack partly due to the usage of C++. Do you share their concerns and what’s your opinion on those projects? The major “problem” for APT is probably that the code is “old”: APT does its job for more than 12 years now, under different maintainers with an always changing environment around it: so there are lines in APT which date from a time when nobody knew what a “Breaks” dependency is, that packages can have long descriptions which can be translated or even that package archives can be signed with a gpg key! And yet we take all those for granted today. APT has proven to adapt to these changes in the environment and became in this process very popular. So I don’t think the point is near (if it will come at all) that APT can go into retirement as it is completely replaced by something else. But you asked what I think about the competitors: I prefer the “revolution from inside” simply because I can see effects faster as more users will profit from it now. Cupt and co. obviously prefer the “normal” revolution. The goal is the same, creating the best package manager tool, but the chosen way to the goal is different. aptitude and cupt have an interactive resolver for example: that’s something I dislike personally, for others that is the ultimate killer feature. cupt reading the same preference file as APT will have a different pinning result, which we should consider each time someone mentions the word “drop-in replacement”. But frankly, I don’t see them really as competitors: I use the tools I use, if other do that too that’s good, if not that’s their problem. 🙂 The thing that annoys me really are claims like “plan is to remove APT by 2014” as this generates a “vi vs. emacs” like atmosphere we don’t need. If some people really think emacs is a good editor… who cares? Michael Vogt who has nearly the monopole of “package manager maintainer” by being upstream of APT, synaptics and software center to name only the biggest and still has the time to answer even the dumbest of my questions. 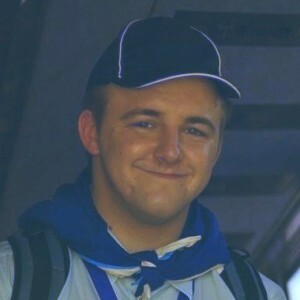 🙂 Jason Gunthorpe for being one of the initial developers behind “deity” who I will probably never meet in person beside in old comments and commit logs. Christian Perrier for caring so much about translations. Obey Arthur Liu as a great admin for Debian’s participation in Google’s Summer of Code. Paul Wise for doing countless reviews on debian-mentors which are a good source of information—not only for the maintainer of the package under review. Thank you to David Kalnischkies for the time spent answering my questions. I hope you enjoyed reading his answers as I did. Subscribe to my newsletter to get my monthly summary of the Debian/Ubuntu news and to not miss further interviews. You can also follow along on Identi.ca, Twitter and Facebook. Guillermo Garron of Go2Linux enjoys a lot the “People behind Debian” interviews that I make. That’s why he interviewed me (with somewhat similar questions) and published the result on his blog. Click here to read the full interview. I speak of my Debian projects, of the Ubuntu-Debian relationship, and more. Our project identity is somewhat minimalistic. It evolves around the social contract and the Debian Free Software Guidelines. Both documents answer the question of what we’re doing but we lack a clear answer to the question of how we’re supposed to work towards our goals. It would be great if Debian could agree on some principles concerning topics like goal setting, collaboration, team work, politeness, respect. We could then advertise those and build on them while recruiting volunteers. PS: The interview also hit LinuxToday. 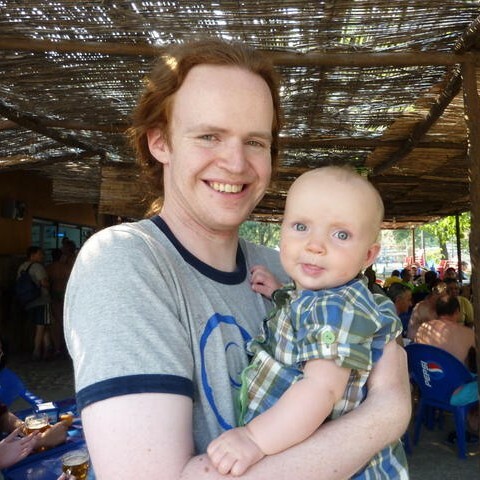 Colin Watson is not a high-profile Debian figure, you rarely see him on mailing lists but he cares a lot about Debian and you will see him on Debconf videos sharing many thoughtful comments. I have the pleasure to work with him on dpkg as he maintains the package in Ubuntu, but he does a lot of more interesting things. I also took the opportunity to ask some Ubuntu specific questions since he’s worked for Canonical since the start. Read on. My questions are in bold, the rest is by Colin. Hi. I’m 32 years old, grew up in Belfast in Northern Ireland, but have been living in Cambridge, England, since I was 18. I’m married with a stepson and a daughter. I became interested in Debian due to the critical mass of Debian work happening in Cambridge at the time (and perhaps more immediately because my roommate was running Debian: “hey, what’s that?”), started doing random bits of development in 2000, and joined as a developer in 2001 (a really exciting time, with lots of new people joining who became integral parts of the project). I’d only really been intending to do QA work and various bits of packaging around the edges, and maybe some work on the BTS, but then Fabrizio Polacco died and I took over man-db from him, and it sort of snowballed from there. I graduated from university shortly before becoming a Debian developer. I worked for a web server company (Zeus), then a hardware cryptography company (nCipher), before moving to work for Canonical in 2004, since when I’ve been working full-time on Ubuntu. By this point, I suspect that going back to work in an office every day would be pretty tough. One thing I should say: I rarely start projects. Firstly I don’t think I’m very good at it, and secondly I much prefer coming on to an existing project and worrying away at all the broken bits, often after other people have got bored and wandered off to the next new and shiny thing. That’s probably why I ended up in the GNU/Linux distribution world in the first place, rather than doing lots of upstream development from the start – I like being able to polish things into a finished product that we can give to end users. d-i is the very first thing many of our users see, and has a huge range of uses, from simple desktop installs to massive corporate deployments; it’s unspeakably important that it works well, and it’s a testament to its design that it’s been able to trundle along without actually very much serious refactoring for the best part of five years now. I have a soft spot for man-db too. It was my first major project in Debian, starting out from an embarrassingly broken state, and is now nice and stable to the point where I recently had time to spawn a useful generic library out of it (libpipeline). d-i has a lot of code to deal with disks and partitions. Of course a lot of it is in the partitioner, and for that we use libparted so we don’t have to worry very much about the minutiae of device naming. But there are several other cases where we do need to care about naming, mainly before the partitioner when detecting disks, and after the partitioner when installing the boot loader. Back in etch, we introduced ‘list-devices’, which abstracted away the disk naming assumptions involved in hardware detection. In wheezy, I would like to take all the messy, duplicated, and error-prone code that handles disk naming in the boot loader installers, and design a simple interface to cover all of them. This has only got more important following the addition of the kFreeBSD and Hurd d-i ports in squeeze, but it bites us every time we notice that, say, CCISS arrays aren’t handled consistently, and it’s a pain to test all that duplicated code. I’d also like to spread the use of libpipeline through C programs in the archive, which I think has potential to eliminate a class of security vulnerabilities in a much simpler way than was previously available. I would love to systematically reduce the need for the current mass of boot loaders. There’s a significant cost to having so much variation across architectures here: it’s work that needs to be done in N different places, the wildly differing configuration means that d-i has to have huge piles of code to manage them all differently, and there are a bunch of strange arbitrary limitations on what you can do. The reason I’m working on GRUB 2 is that, in my view, it’s the project with the best chance of centralising all this duplicated work into a single place, and making it easier to bring up new hardware in future (in a way that doesn’t compromise software freedom, as many proprietary boot loaders of the kind often found on phones do). Of course, with flexibility tends to come complexity, and some people have a natural objection to that and prefer something simpler. The things I don’t quite have time to do here are to figure out a coherent way to address the specific over-complexity problems people have with the configuration framework while still keeping the flexibility we need, and to do enough QA and porting work to be able to roll out GRUB 2 at installation time to all the Debian architectures it theoretically supports. Backbiting, and too much playing the man rather than the ball. With one or two honourable exceptions, I’ve largely stopped reading most Debian mailing lists since it just never seems a productive way to spend time compared to writing code and fixing bugs; and yet I’m conscious that they’re one of the primary means of communication for the project and I’m derelict in not taking part in them. I do find it a bit frustrating that people are seen primarily in terms of their affiliations. I suppose it’s natural for people to see me as an “Ubuntu guy”, but I don’t really see myself that way: I’ve been working on Debian for nearly twice as long as I’ve been working on Ubuntu, and, while I care a great deal about both projects, I’ve put far more of my own personal time into Debian and I try to make sure that a decent number of the things I’m involved with there aren’t to do with work. Work/life separation is a good thing, not that I’m very good at it. Generally speaking, when I’m working on Debian, I’m doing so as a Debian developer, because I want Debian to be better. When that’s not the case, if it matters, I try to indicate it explicitly. You’re working for Canonical since Ubuntu’s inception. If you were Mark Shuttleworth, is there something that you would have done differently? We had many good intentions when we founded Ubuntu. We also had a huge amount of work to deliver, to the point where it wasn’t at all clear whether it would be possible (the warty release was named based on the expectations of it, after all, and came out much more usable than we’d dared to hope). In hindsight, it might have helped to be quieter about our good intentions, so that we could exceed expectations rather than in some cases failing to meet them. That might have set a very different tone early on. It seems to me that the community part of Ubuntu is much more eager to cooperate with Debian than the corporate part. It’s probably just that more and more Canonical employees are not former Debian contributors. Do you also have this feeling? Are there processes in place to ensure everybody at Canonical is trying to do the right thing towards Debian cooperation? Just to be clear, I’m wearing my own hat here—which, ironically, is a fedora—rather than a company hat. It makes sense for Canonical to be taking on more non-Debian folks; after all, we can’t simply hire from the Debian community forever, and a variety of backgrounds is healthy. As you say, it may well be natural that Ubuntu developers who don’t work for Canonical are more likely to have a Debianish background, as it tends to take something significant to get people to switch to a very different family of GNU/Linux distributions, and changing jobs is one of the most obvious of those things. Certainly, there was a definite sense among the early developers that we were all part of the Debian family and cared about the success of Debian as well. As Ubuntu has developed its own identity, people involved in it now tend to care primarily about the success of Ubuntu. At the same time, pragmatically, it’s still true that getting code changes into Debian is one of the most economical ways to land them; changes made in Debian or upstream land once and tend to stay in place, while changes made only in Ubuntu incur an ongoing merge overhead, which is not at all trivial. In many ways it’s human nature to try to fulfil your immediate goals in the most direct way possible. If your goal is to deliver changes to Ubuntu users, then it’s natural to concentrate on that rather than looking at the bigger picture (which takes experience). Debian developers often fail to send changes upstream for much the same reason, although there’s more variation there because they’re normally working on Debian of their own volition and thus tend to have wider goals; the economics are more or less parallel though. Thus, I think the best way to improve things is to make it the path of least resistance for Ubuntu developers to send changes to Debian. We’re already seeing how this works with the Ubuntu MOTU group; if you send a patch for review, or work on merging a package from Debian, very often the response includes “have you sent these changes to Debian?”. We’re working on both streamlining our code review through a regular patch pilot programme and requiring more code review for changes in general, so I think this will be a good opportunity to ask more people to work with Debian when they propose changes to Ubuntu. For myself, this may be obvious, but I notice that I’m much better at getting changes into Debian when I already have commit access to the Debian package in question. All the work on improving collaborative maintenance in Debian can only help, for Ubuntu as well as for everyone else. It doesn’t make so much difference for large changes that require extensive discussion, but there are lots of small changes too. Canonical is upstream of many software projects (unity, indicators infrastructure, etc.). Why aren’t those software immediately packaged in Debian? Do you think we can get this to change? I’m not sure what the right approach is here, particularly as I haven’t been involved with much of that on the Ubuntu side. I suspect it would be helpful to look at this in a similar way to Ubuntu changes in general. It’s understandable that those developers have getting changes into Ubuntu as their first goal. And yet, having code in Debian offers a wider, and often technically adept, audience, and most developers like having their code reach a wider audience even if it’s not their first priority, particularly if that audience is likely to be able to help with finding problems and fixing bugs. It should be seen as something beneficial to both distributions. The hardest problems will be with things that aren’t merely optional add-ons (which should generally be fairly non-controversial in Debian, given the breadth of the archive in general – the existence of things like bzr and germinate as Debian packages was never a hard question), but which require changes in established packages. For example, gnome-power-manager in Ubuntu is built with application indicator support, and that’s an important part of having a good indicator-based panel: a lot of the point of indicators is consistency. Since I do very little desktop work myself, I don’t know exactly what would be involved in making it possible to choose this system based on a Debian desktop, but I think it’s probably a bit more complicated than just making sure all the new packages exist in Debian too. Obviously you have to start somewhere. Christian Perrier is absolutely tireless and has done superb things for the state of translations in Debian. And Russ Allbery, even aside from his fine ongoing work on policy, Lintian, and Kerberos, is a constant voice of sanity and calmness. Release management is incredibly hard work, as I know from my own experience, and anyone who can sustain involvement in it for a long period is somebody pretty special. Steve Langasek and I got involved at about the same time but he outlasted me by quite a few years. He deserves some kind of medal for everything he’s done there. Thank you to Colin for the time spent answering my questions. I hope you enjoyed reading his answers as I did. Subscribe to my newsletter to get my monthly summary of the Debian/Ubuntu news and to not miss further interviews. You can also follow along on Identi.ca, Twitter and Facebook.